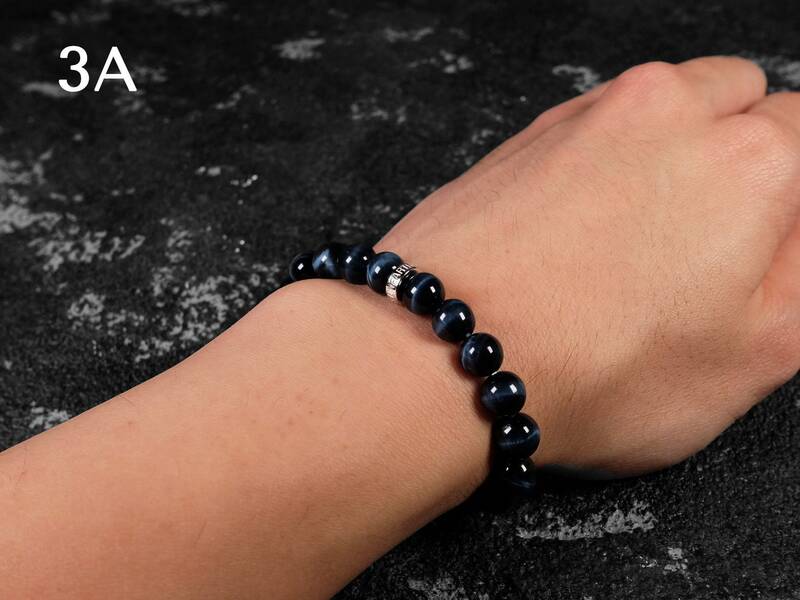 The dark blue and black color is the natural color of blue tiger's eye. 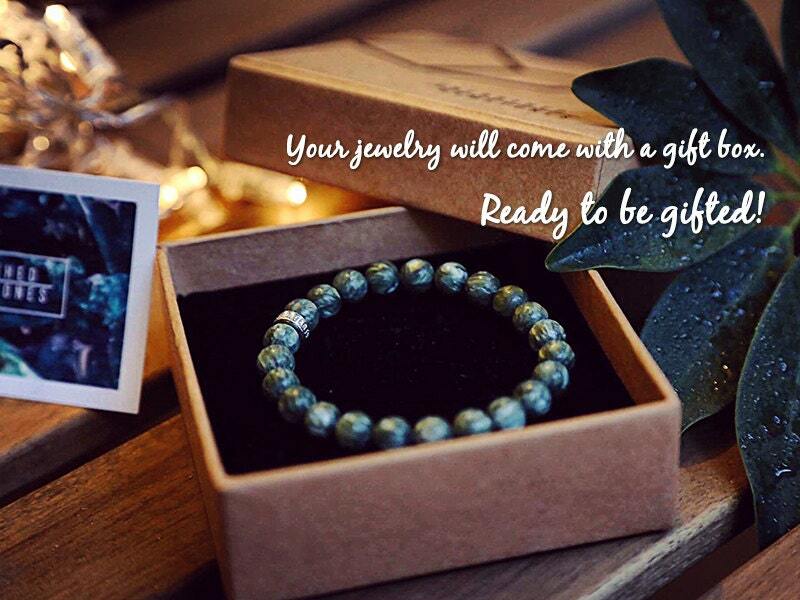 Please be aware that brighter blue color tiger's eye is artificially dyed. Common colors that are dyed include sapphire blue and aqua blue. The process simply put is to bleach the tiger's eye to a golden color and then add a blue dye to it. 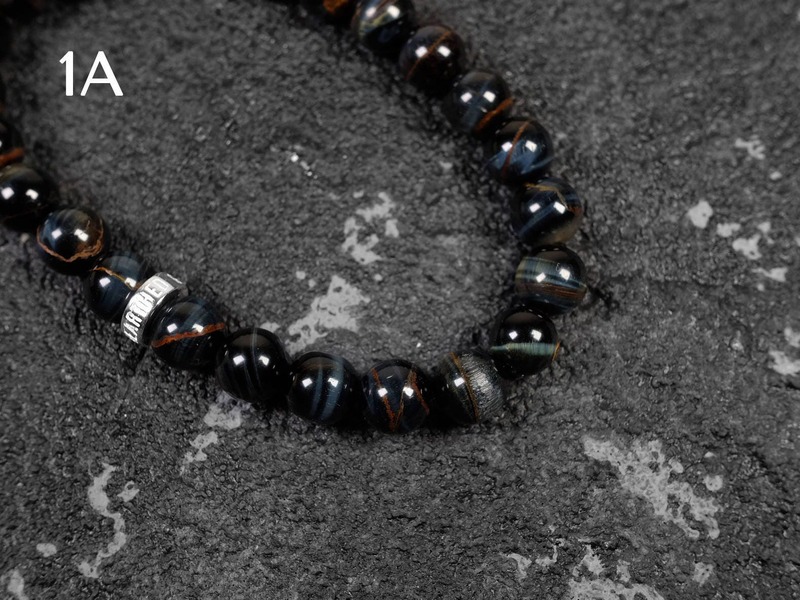 Bright blue tiger's eye doesn't occur in nature. 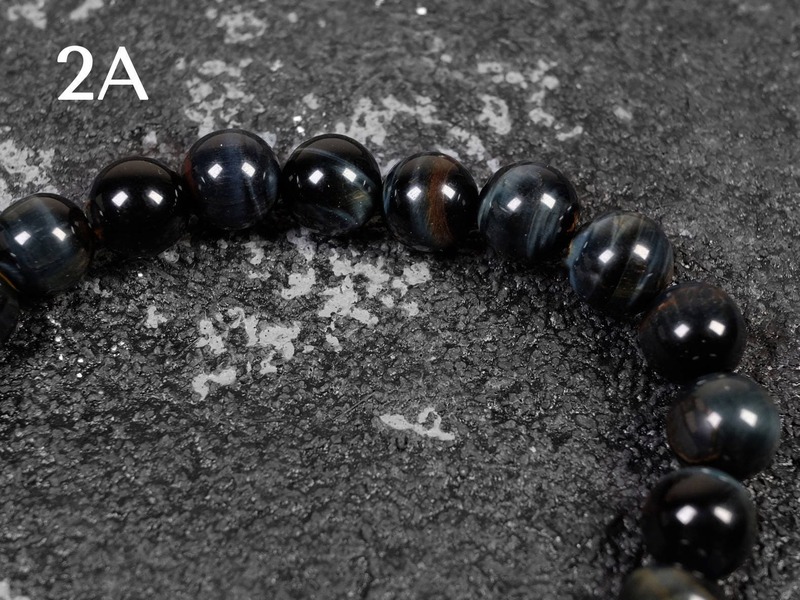 The blue tiger's eye in Unearthed Gemstones are natural and genuine. 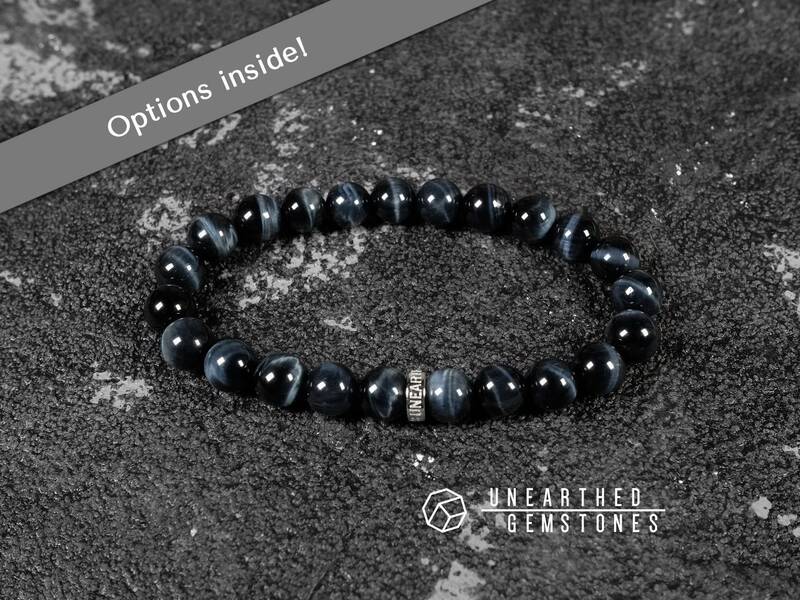 This blue tiger's eye is natural and genuine. 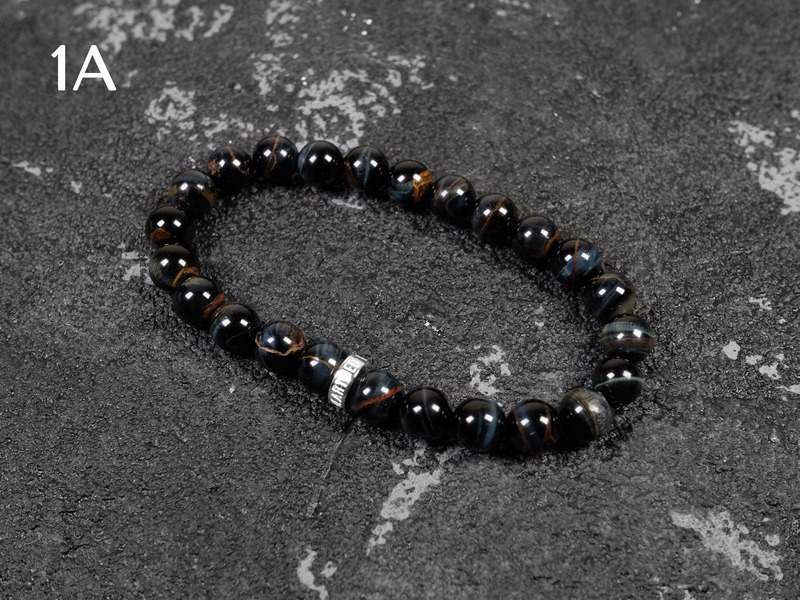 The darker color of this tiger's eye makes it very versatile. The blue eyes really shine under sunlight or bright light, giving you the subtle yet rich details to this piece of jewelry. Both 1A and 2A options have nice chayotance/"eyes" effect, and the 1A option has more brown natural markings than the 2A option. The 3A grade has sharp looking "eyes". Exceptional Customer Service. 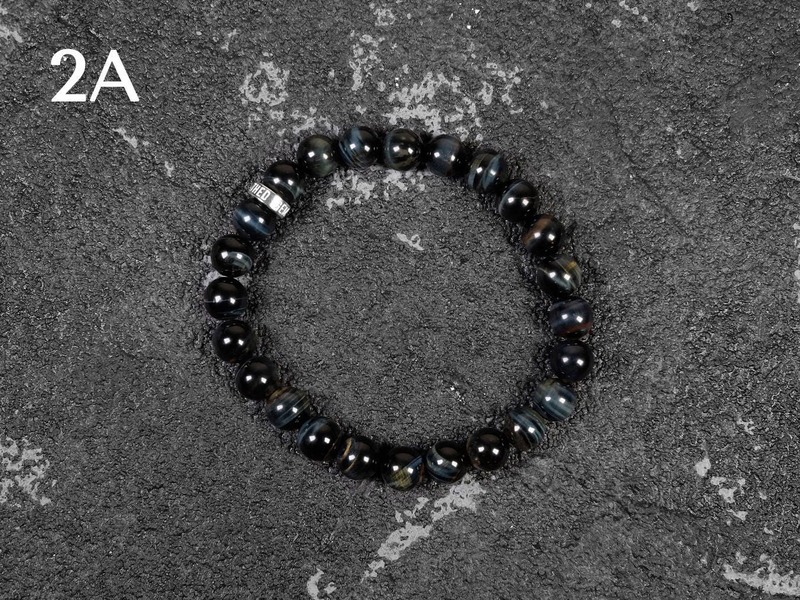 Beautifully Designed Blue Tiger Eye Bracelet. Love it. 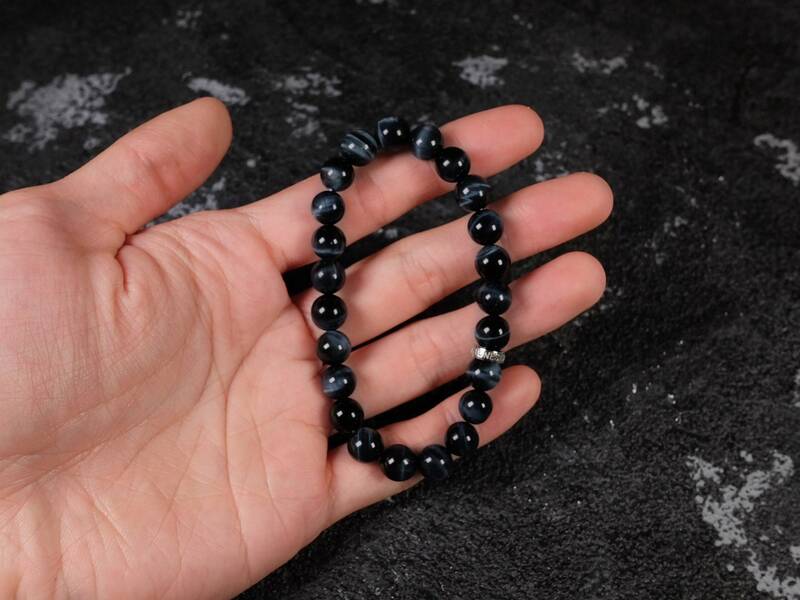 A very responsible seller who's committed to providing the best quality crystal beads to his customers! 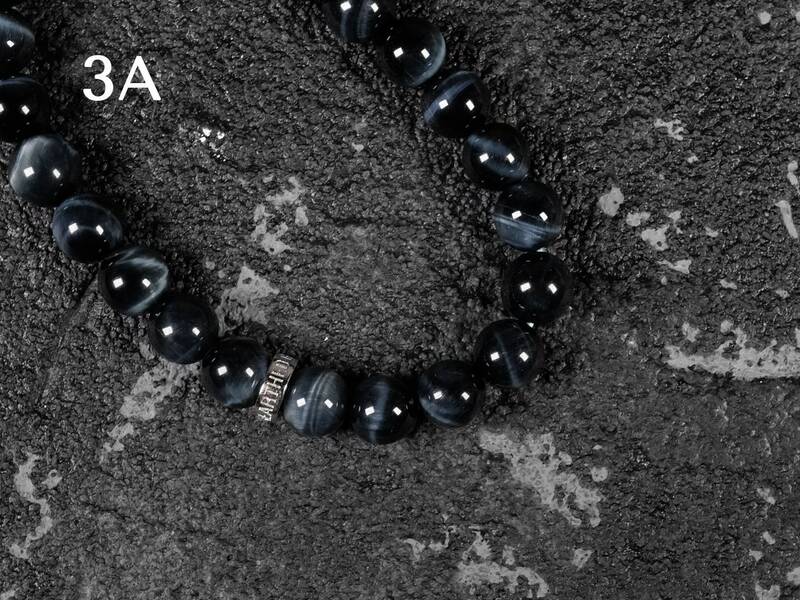 I was initially disappointed with the quality of the 3A blue tiger eyes beads as the received item didn't look as nice as shown on the pictures. Seller replied that he would rectify the problem and provided a price difference refund. Excellent after-purchase service! Great looking bracelet, and overseas shipping was quick. Very beautiful, love looking at the eyes move in the stones in the light, very subtle blue. 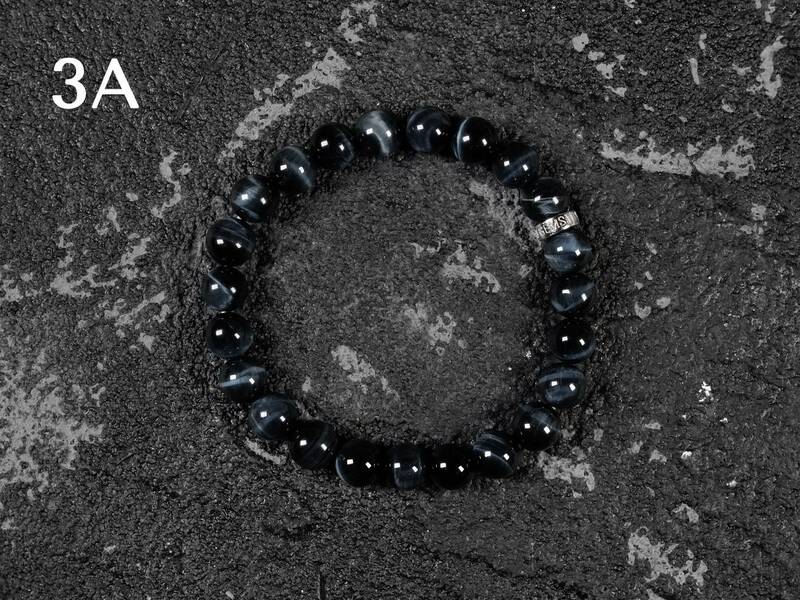 Wonderful bracelet. You can see the markings in just the right light. Goes with everything!